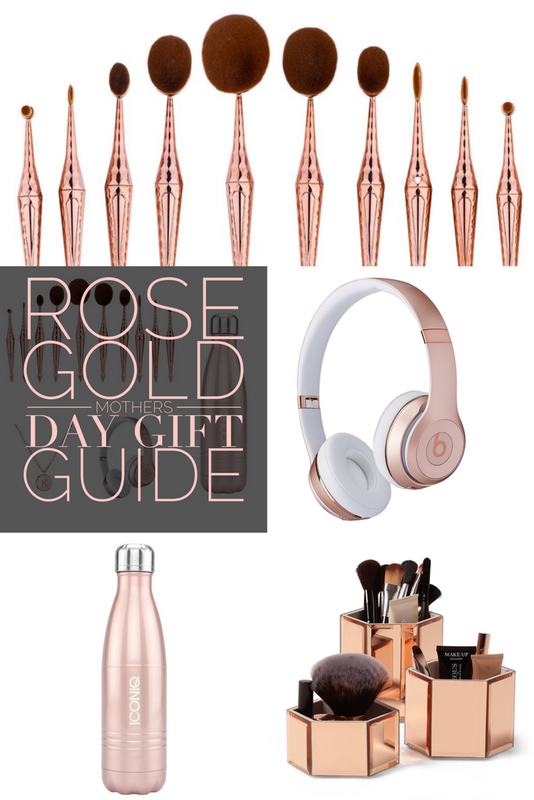 Rose Gold is everything right now so I’m here to help you find the PERFECT Mother’s Day gift for the ladies in your life! All of these items are available on Amazon and most products are Prime…which means if you wait until the last minute, you could still get them in just a few short days. Double check the item to make sure it’s Prime! I try to stay on top of things and not wait until the last minute…but it happens….you know…life…kids. So for all my last minute shoppers out there, AMAZON to the rescue! Fellas! Don’t forget your mom, wife, sister, grandma and even the ladies that are expecting. They are expecting a baby AND a gift from you on their first official Mother’s Day. Trust me on this one. If you’re a lady reading this and find something you love, just forward or tag the guy in your life! What are y’all getting your mamas for Mother’s Day??? Stopppp. Love his list. If I were still working- that stethoscope would totally be on my list!! Love it all!